A fun way to wake up on Halloween is to some homemade Halloween pumpkin Pop-Tarts like this one! 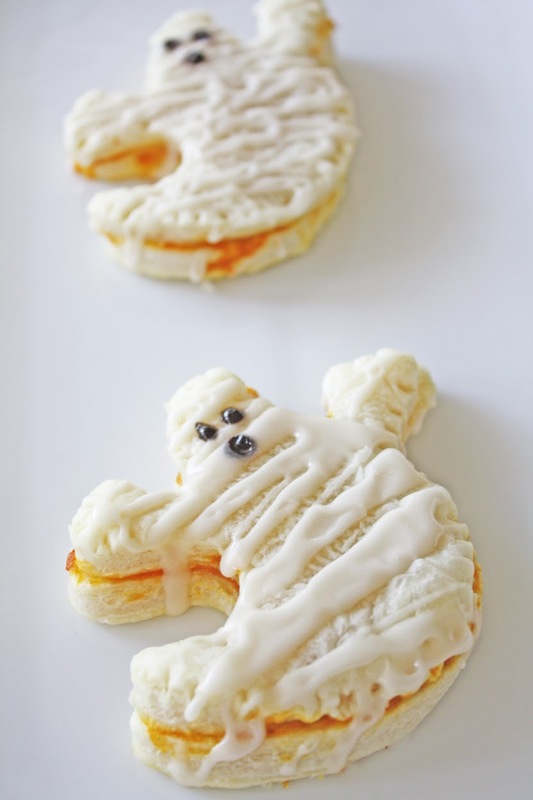 Use fun Halloween cookie cutters (ghosts, bats, pumpkins) to create a whole assortment. 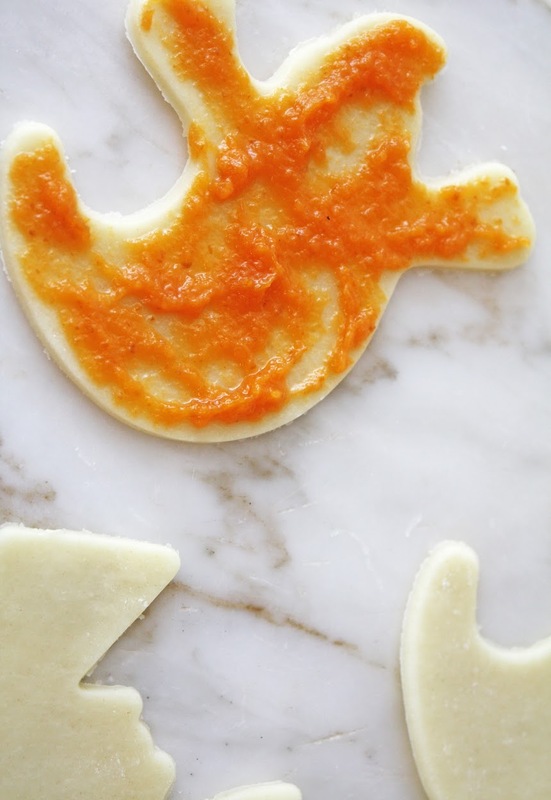 They're flakey, pumpkiny, and sweet. Let's face it, I'm a sucker for cute Halloween treats! Unroll dough from package. 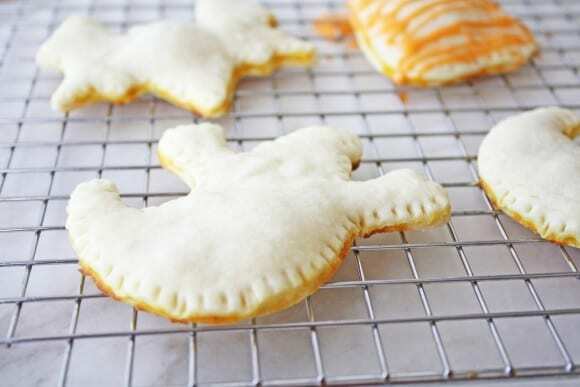 Using Halloween cookie cutters, cut two of the same shape for each toaster pastry. 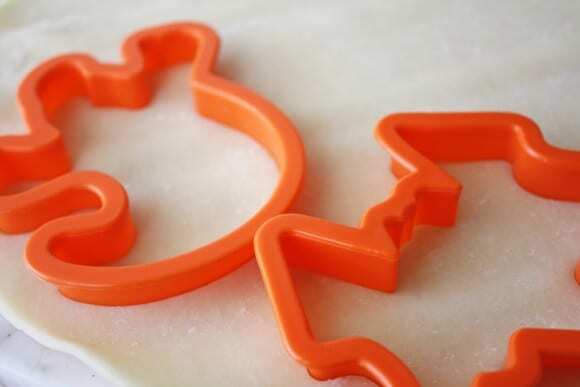 Lay half the cut shapes onto a greased cookie sheet. Combine pumpkin, sugar, egg, salt and pumpkin pie seasoning. Mix well. 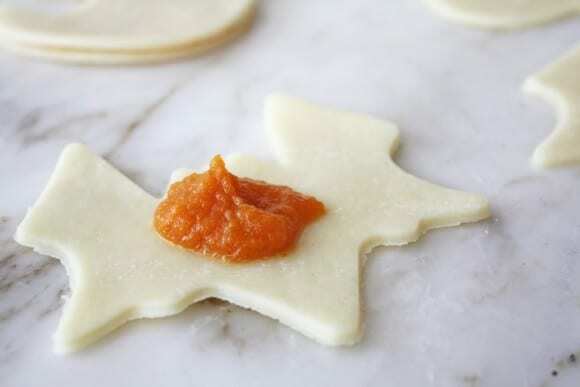 Spread a thin layer of pumpkin mixture on the first layer of shapes on baking pan. You can also use your favorite jam for the filling too! 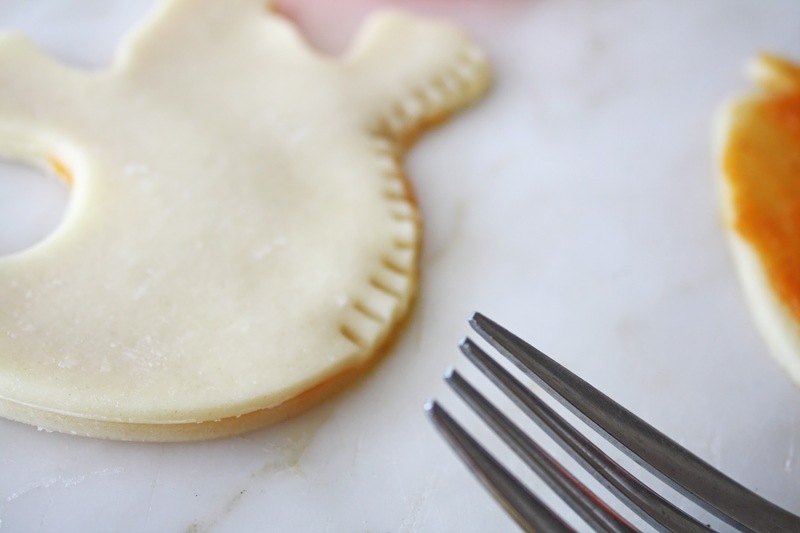 Take the second shape and place on top of the first shape, making a pumpkin sandwich. See photos. Using a fork, press the edges together to seal pastry. 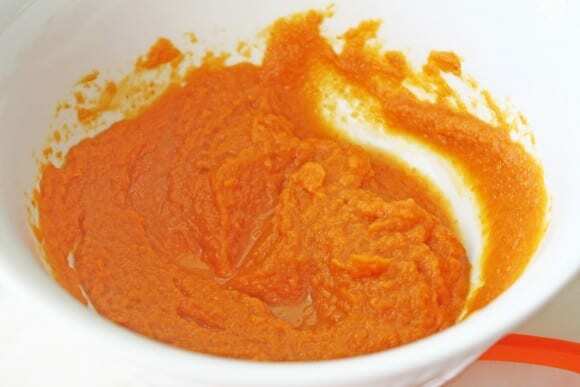 Wipe away any excess pumpkin filling. Bake at 400 degrees for 8 minutes or until they are golden. Cool on wire rack. While the pastries are cooling you can make the icing. Combine the powdered sugar, milk and vanilla. Whisk together. Add more milk if the icing is too thick or more sugar if the icing is too thin. Drizzle icing over warm pastries. Serve! If you are making the ghosts like we did, use black writing gel to add eyes and a mouth. 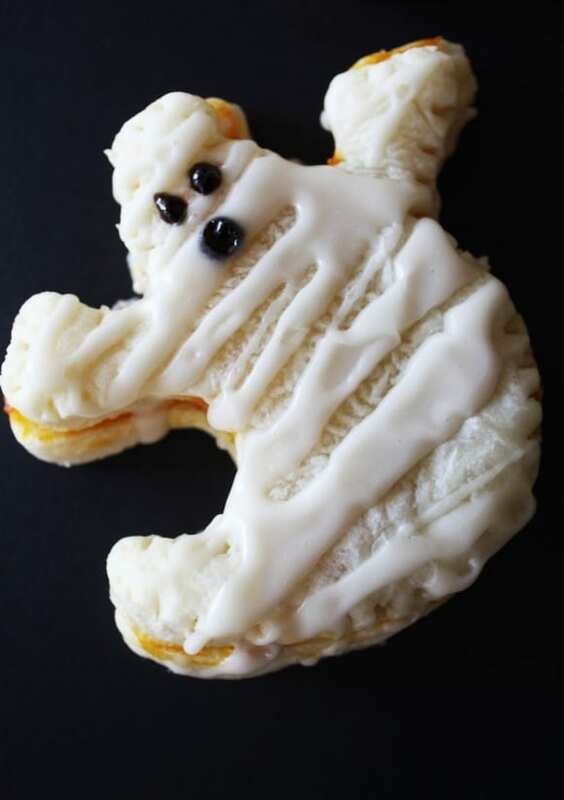 This fun Halloween post was created by our crafts, food, and style contributor, Shauna at Ella and Annie Magazine! Also visit her on Facebook, Twitter, Instagram, and Pinterest to see more of her creative projects and beautiful parties.